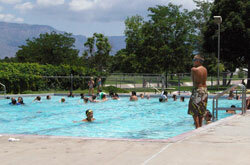 Information about Outdoor Pools. Open Memorial Day weekend through mid-August. View pool locations on a larger map. 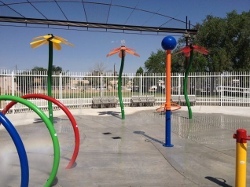 A spray pad with water features. View more information and hours of operation. 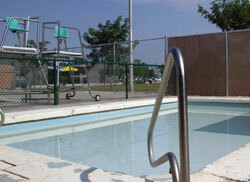 A 25-yard shallow pool and a wading pool. 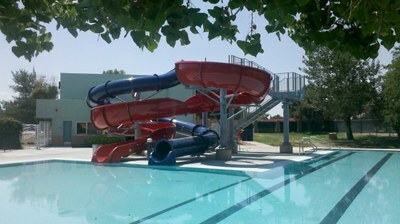 A shallow 25-yard pool with two small slides and a wading pool. 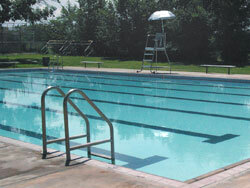 A shallow 25-yard pool and a wading pool. 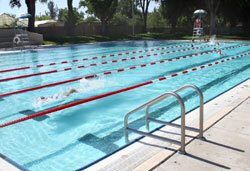 A 25-meter-long pool and a wading pool. 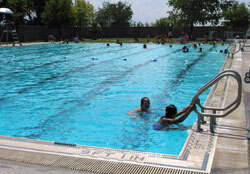 A 40-meter-by-22-yard pool and a wading pool.